Participating in the monthly Grand Strand Golf Directors outings is one of my favorite things to do. Of course the golf is always fun, but being paired with people that you have never met also adds to the enjoyment. My wife and I had the great fortune of being paired with Rick Richard a few months ago and you just couldn’t meet a nicer person. Rick is originally from Tell City, Indiana and with his wife of 28 years, Pamela, moved to Myrtle Beach in 2001. He graduated from Indiana State University with a Business Administration Degree and Economics minor. Rick retired after 25 years from Schindler Elevator Corporation where he was in sales and management. Currently Rick is the Tournament Events and Marketing Manager for PGA Tour Superstores in Myrtle Beach and North Myrtle Beach. His passion for golf and his business experience make this a perfect fit. Like so many people that move to Myrtle Beach, Rick moved for the weather, golf and beach. 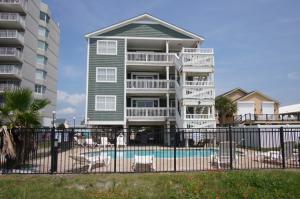 He enjoys the fact that Myrtle Beach has four moderate seasons and meeting the mix of people that live here. 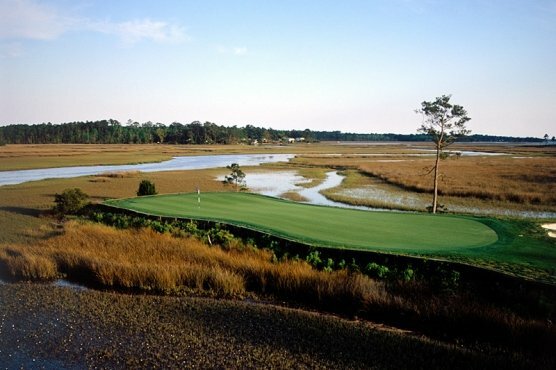 When not working, Rick enjoys the wide variety of golf courses that the area offers and loves to play the Dunes Golf & Beach Club for its history, traditional layout and conditioning. He is also learning to become a gentleman farmer on the 22 acres that he and Pamela live on outside of Conway. He raises Coastal Bermuda hay but also spends much of his time tending to 2 horses, 2 dogs, 3 cats and 12 guinea hens. That is enough to keep anyone busy. With all that Rick has on his plate he still finds some time to follow the Indiana Hoosiers and his favorite golfers Phil Mickelson and Arnold Palmer. Charity is another passion for Rick and he is currently raising money for MDA, which he also did while attending Indiana State, where he spearheaded the MDA charity drive. One of Rick’s fondest memories was being invited three years ago to participate in an international pro-am in Scotland. He was fortunate enough to play The Old Course at St. Andrews, Carnoustie and King Barn. Another highlight for him is, while vacationing with his wife in the Clemson area he shot his career round of 69 at the Walkers Course at Clemson. That is golfing your ball. The Myrtle Beach area is very lucky to have so many great people relocate here and Rick Richard is a shining example of that.